Kazoo section May-26-2008, originally uploaded by bigbumble. I took a picture or two at MARCON in May 2008. 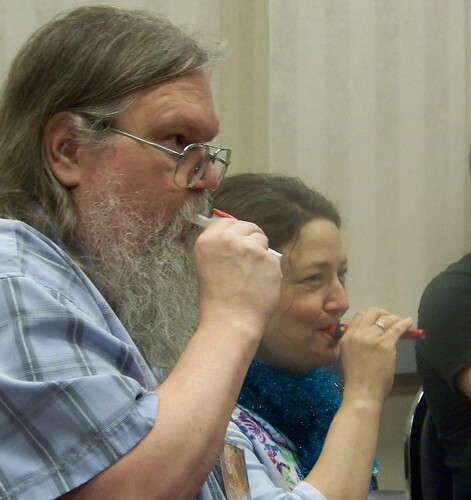 This is Peter and Becca at the dead dog playing Kazoos. I believe they were playing that classic tune, Swan Lake. The little foggy spot to the right side is my finger print on the lens.